I have been plugging “At the Edge” recently, but I should give a mention to another anthology I am in, because it contains a story I was really very happy to see make its way out into the world, ‘The Boulevardier’. (The Boulevardier, he’s really quite a disgusting … man.) If you like dark stories, you may be interested in Love Hurts, which also contains stories by Charlie Jane Anders, Jeff VanderMeer, Hugh Howey and many others. I can do no better than to just direct you here, to Lee Murray spruiking ‘At the Edge’ on Greg Chapman’s blog. And thanks very much Lee for “And if farming news bores the pants off you, then you haven’t read David Steven’s horror gem, Crop Rotation”. 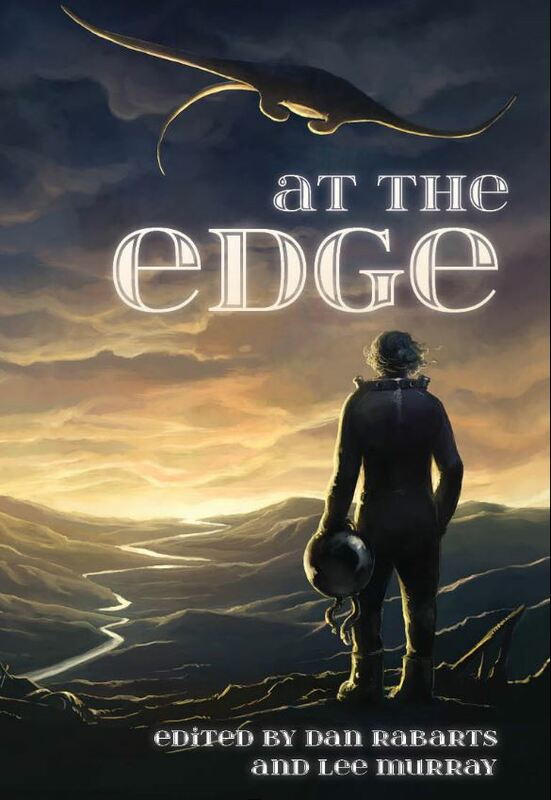 Award-winning author and editor Lee Murray has hijacked my blog to talk about the killer cross-Tasman anthology she edited with Dan Rabarts, At the Edge. My story, ‘The Penultimate Report of Sergeant Burns’ appeared in the inaugural edition of The Grapple Annual, by which I was rather chuffed. Now my ‘The Golden Age of Science Fiction’ has been included in their second volume (along with 41 other pieces), entitled The Grapple Annual No.2, presently under preparation. Once again, I grapple with all of the big issues of the day: is it socially acceptable to hobble your child, if it is done to prepare them for a job? Is it ever ok just to buy a magazine for the pictures? Why is it best not to know what other people are thinking? Is there a difference in the empathy appropriate for a horrible little man, and a horrible little man with no arms? And I ask these big questions in a journal which is a follow up to an official under rated book of the year award winner. Who could ask for more?